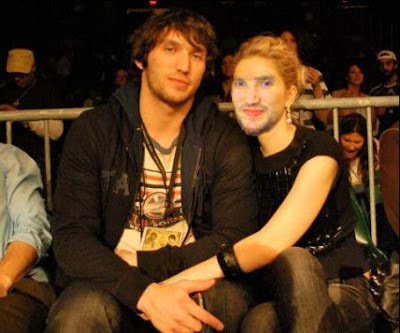 Pens Lose: Ovi loves himself, and apparently his teamates. I barely watched the game. Liah Sydney wasn't was sick to her stomach, likely because she knew the outcome before us. So in typical lazy fashion, I give you a photoshop. And believe it or not, I had nothing to do with this. It's not a photoshop. He's really that gay.